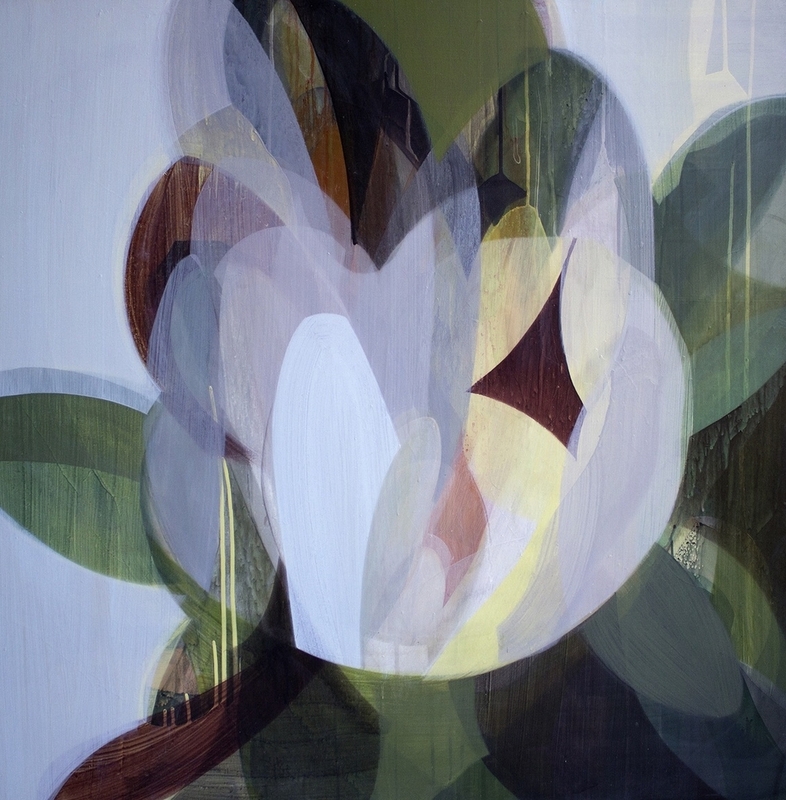 Spalding Nix Fine Art is pleased to present Flora and Fauna, with new works by Georgia-based contemporary artists Katherine Sandoz and Heather Lancaster. The exhibition will open on May 12, 2016, and run through July 30, 2016. Sandoz's works represent FLORA with colorful and botanical-inspired abstract paintings, and Lancaster signifies FAUNA with elegant and graceful ostrich portraits. With the marshes, waterways and people of the low-country offering perennial inspiration, Katherine Sandoz examines the everyday and offers work that celebrates what is precious and unique. With this show, Sandoz returns to the subject of flowers, reexamining botanicals through abstraction firmly situating the work in the realm of minimalism. "These paintings are as much about studying and representing botanicals as they are about paint itself, weather patterns, and the natural landscape," reflects Sandoz. She lives in Savannah, and her paintings and fiber works have been exhibited internationally. Heather Lancaster is an Atlanta native who hails from a family of artists. For this show, Lancaster continues to explore one of her most inspiring subjects, the ostrich. Experimenting with scale and a variety of materials, Lancaster deepens her connection to drawing, anatomy, and the stillness of portraiture. Heather LANCASTER, Stilts 2, graphite, charcoal & india ink on paper, 93" by 24"
Established in 2003, Spalding Nix Fine Art offers fresh-to-the-market works, currently including Degas' "Study of Horses and Riders," and Picasso's "Feu de Bois." The gallery uniquely offers contemporary works in a sumptuous setting filled with period antiques. Whilemaintaining a selection of fine 18th and 19th century European paintings,Spalding Nix Fine Art features Modern and Contemporary works, with recent shows including George Braque, Andre Derain, Paul Gauguin, David Hockney, Henry Moore, Frank Stella,Sally King Benedict, Marc Chatov and Sarah Lamb. In addition to offering art for sale, Spalding Nix Fine Art is the Southeast's leading art appraisal and art advisory firm.